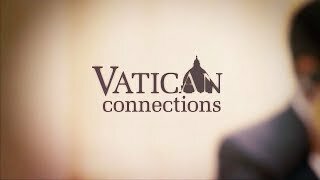 Several weeks ago Pope Francis, while giving a homily in Cassano allo Ionio, declared that members of the Mafia are not in communion with God, "they are excommunicated". Outside of Italy the homily got attention because it was so unexpected and didn't really make sense. For Italians in the south, the declaration was long overdue. Priests have been killed in the southern Italy for standing up to parishioners who are involved in organized crime, for not giving in to their "requests", for preaching forcefully against everything the mafia represents, and for working to keep youth from being sucked into the mob by community pressure and promise of wealth. 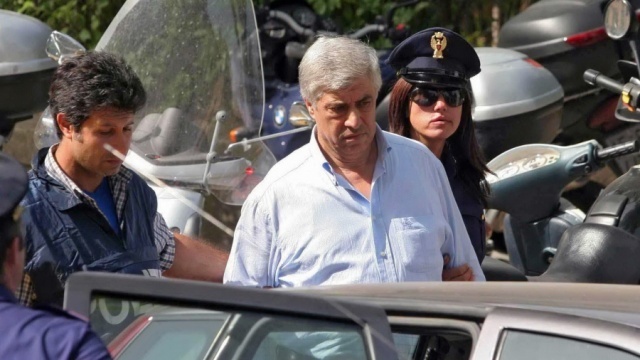 VATICAN CITY (CNS) -- The godfather who stands up for a child's baptism one day and spends the rest of the week running a brutal crime ring unfortunately is not the stuff of movies. In southern Italy, the Mafia, the 'Ndrangheta and other organized criminal gangs still cloak themselves in symbols of Catholicism, and the region's bishops have had enough. 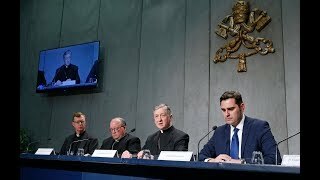 It's not that the bishops have just begun to act -- they have been coordinating their anti-mafia work since the 1970s -- but they have seen just how deeply tied the mafia is to local Catholic cultural expressions and how essential those fake religious ties are to the continued thriving of mafia relationships. The bishops of Calabria met in late July to discuss ways to cut those ties and make it clear to people in their region that hanging onto a holy card or applauding when a statue of Mary is carried past does not make a criminal Catholic. One possibility they are considering is petitioning the Vatican for an exemption from canon law that would allow them to ban godfathers, godmothers and confirmation sponsors completely. It was not a coincidence that the blockbuster film series based on the book by Mario Puzo and directed by Francis Ford Coppola was called "The Godfather." Archbishop Giuseppe Fiorini Morosini of Reggio Calabria asked the Vatican months ago if he could suspend for 10 years the naming of godfathers in his archdiocese. "There are two problems," he told Vatican Radio July 1. "There is the use of religious symbols and even a sacrament to present a 'clean' face to society, but there is also the concrete fact that being a godfather at a baptism or sponsor at confirmation forms a bond between families." While that can be a good thing, the archbishop said that "the 'Ndrangheta is built on the foundation of collaboration and strict bonds between families," and serving as a godfather "extends the family's bonds, allowing them to better dominate more territory." In an interview a week later with SIR, the Italian bishops' news agency, he said some parents "put off baptism for years -- even until adolescence or beyond -- because they are waiting for the godfather to get out of prison." Father Enzo Gabrieli, spokesman for the president of the Calabrian bishops' conference, said the bishops of the 12 dioceses in the region all agree on the need for "re-evangelization" about the role of godparents and sponsors, but the situation varies so much from one diocese to another that concrete measures also should vary. The choice, he said, is to "either suspend the naming of godfathers for a time or concentrate completely on education." In his Archdiocese of Cosenza-Bisignano, Father Gabrieli told Catholic News Service, the biggest problem with godparents and sponsors is that friends and relatives tend to be chosen as a sign of affection with little or no awareness that their role is to assist the growth in faith of the baptized or confirmed. For Father Gabrieli, like for the region's bishops, the solution lies not simply in condemning gangsters, but in helping Christians live their faith seriously and coherently. Pope Francis made headlines June 21 when he visited Calabria and said, "Those who follow the path of evil, like the mafiosi do, are not in communion with God; they are excommunicated!" Using the term "excommunicated" got people's attention, but it was not Pope Francis' first condemnation of the mafia and organized crime. In March, almost exactly a year after the solemn inauguration of his ministry, Pope Francis met in a Rome church with mafia victims. 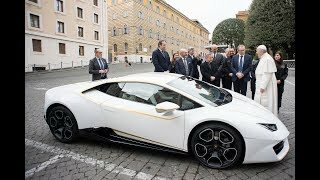 In addition to listening to them and praying for them, he used the occasion to address mafiosi: "Men and women of the mafia, please change your lives, convert, stop doing evil. We pray for you. Convert, I ask on my knees! It is for your own good." "Convert," he said. "There is still time not to end up in hell, which is what awaits you if you continue on this path." The need for local bishops to take concrete steps to educate their people and purify church practices became evident soon after Pope Francis visited Calabria: In what media described as a threat to boycott Mass, mafia members jailed in Locri asked their chaplain why they should bother going to Mass if they are excommunicated; and scandal erupted in early July when participants in a Marian procession bowed -- with a statue of Mary -- in front of the house of a presumed mafia boss. The bishop of Oppido Mamertina-Palmi, where the bowing incident took place, banned all religious processions for the time being. The bishop of Mileto-Nicotera-Tropea banned a procession scheduled for July 16 in Vibo Valentia after local law enforcement officials notified the parish that men suspected of having mafia ties were among those scheduled to carry the statue of Our Lady of Mount Carmel. Archbishop Salvatore Nunnari of Cosenza-Bisignano, president of the Calabrian bishops' conference, suggested a two-year stop to all processions to give church leaders time to ensure future processions would be strictly Catholic. The bishops' conference of Calabria, led by Archbishop Nunnari, will publish joint pastoral guidelines in October, Father Gabrieli said, but each bishop also is expected to issue his own rules for ending the mafia's access to public expressions of faith. Unless, of course, they are ready to repent.